Jack Nicklaus Masters Champion 1963, 65, 66, 72, 75, 86. 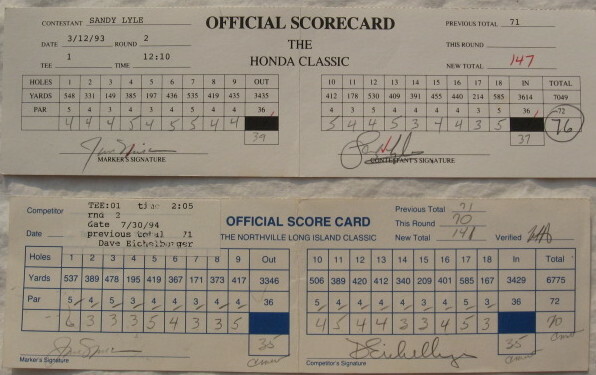 This scorecard is from the 1969 US open and it is Jack Nicklaus scorecard and the Marker was Mr Sam Snead. NICE This US open was held at Jimmy Demaret and Jack Burke's course in Houston, Texas. Champions Golf Club. Mr. Orville Moody with this open for his only victory on the PGA tour. Jack was tied for 8th Place when he turned in this scorecard.